Earth needs heroes. Thor ( Chris Hemsworth,) escapes from his chains racing to save Asgard from a Ragnarok apocalypse. But the god of thunder has a cryptic , slice and dice sense of humor facing the crisis delivering an deliciously entertaining escape that hits a stride between "Guardians of the Galaxy" humor and a space traveling odyssey with cameo appearances by Avenger favorites. 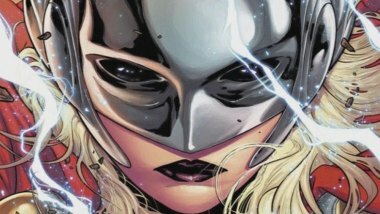 Shifting away from the mythology and endless fights, the third Thor installment has the hero nearly nonchalantly accepting his presumed fate and tenaciously taunting and scolding bad dames and dudes for their insults. One NY critic wrote "it's almost a shame when it reverts to campy, melodramatic roots." I'd add those foundations contain allusions to Old Testament lessons, gender and species competitiveness, and planetary escapes more akin to "Flash Gordon" or a mini- Hans Solo episode. During Thor's captivity Oden has forsaken Asgard defenses in favor of Loki theatricals, leaving the city of gods vulnerable to his daughter --- a kill and conquer warrior. Hemsworth casually mocks his travails, "raising an eyebrow at the corniness" surrounding him (like a young Sean Connery ) and expressing a "bumbling and stumbling" embarrassment in Cary Grant mode. (Thank to Roger Ebert.com for this comparison). He so confident in chains mourning the loss of his beloved hammer even as another "cameo" trims Thor's locks symbolizing Samson losing his strength at the hands of Delilah. Screenwriters evoke thoughts of Jonah escaping the whale and a Red Sea parting escape (by ark). All these reminders to theology are so flippant you laugh at the Asgard parallels. Mark Ruffalo returns as Loki, a beguiling hero/anti-hero with a charisma for transition and deception. Hemsworth solidifies the fantasy reality realm; Loki continually has jokers up his sleeves which everyone falls. A prism like special effect reoccurs throughout which has astounding visual power. A rainbow ladder or bride , it's a simplified CGI way of leading the species on journeys afar. What can be Thor without bashing , dodging , slamming, and flinging destructiveness. It's all there. Pitting Thor and Hulk as gladiators has action humor, yet, the personality transition to Bruce Banner has greater flair. Hurry back, too. Marvel's sent Santa to you with an early 'see it again' competitor before Justice League and Last Jedi enter the schedule. Best of the Thor series for it's lightness in an era that has darkened the hero worlds pitch black.